Note: there's a small power supply test board and a wire for you to test if the electricity supply is enough or not. Please see below image how to use it. 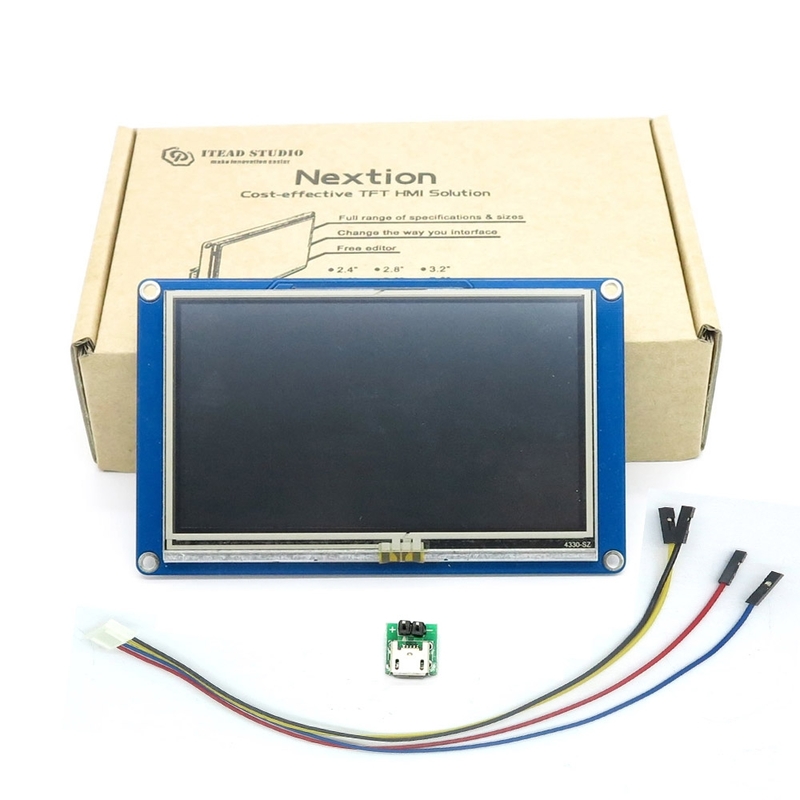 It's easy to adapt Nextion family HMI to existing projects, you just need to provide it a UART. 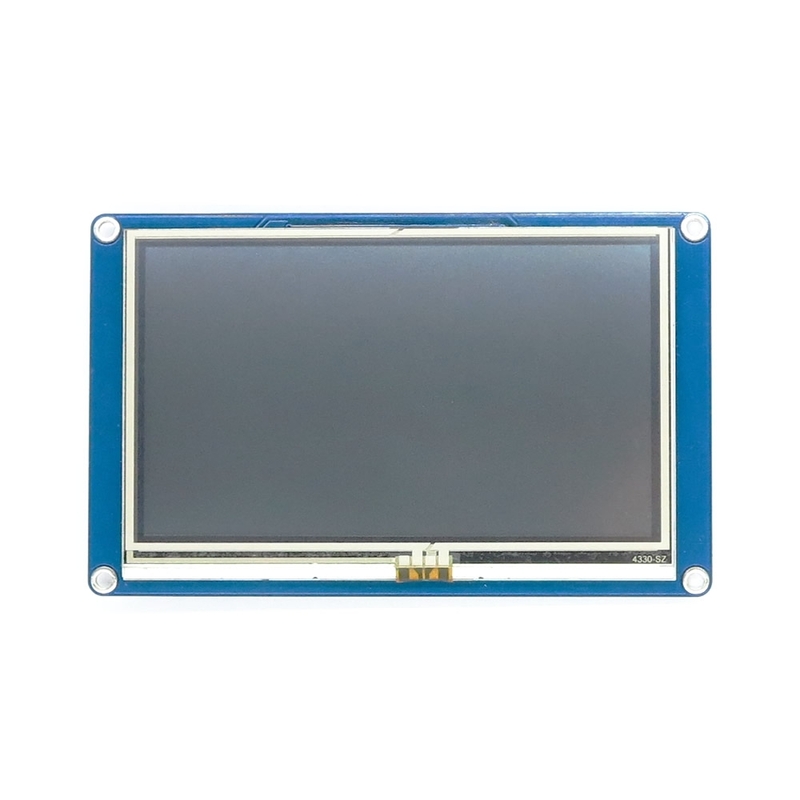 NX4827T043 is a powerful 4.3'' HMI, which is member of Nextion family. 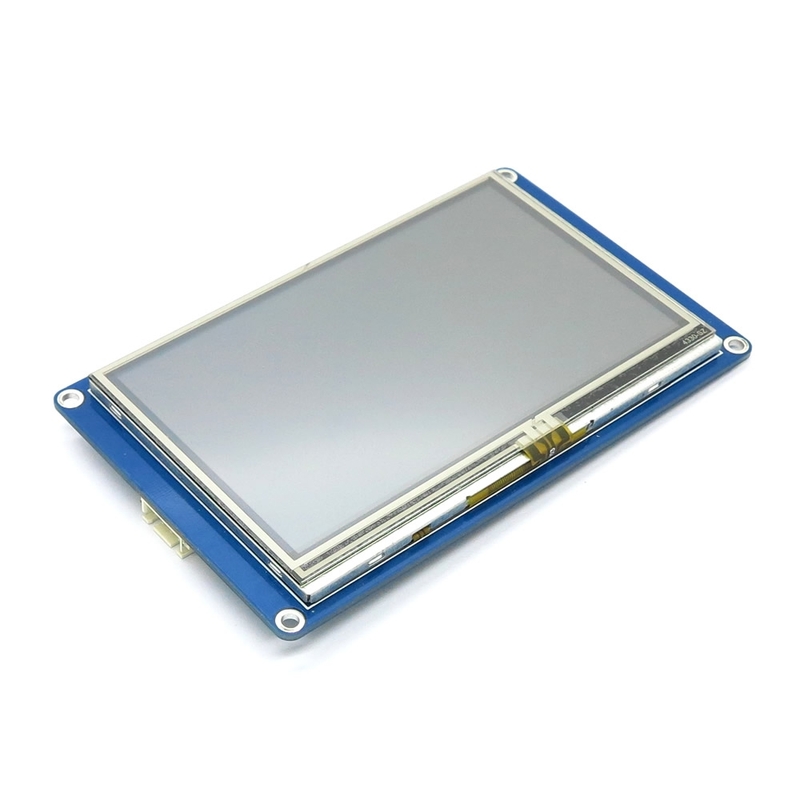 Features include: a 4.3" TFT 480x272 resistive touch screen display, 16M Flash, 2KByte RAM, 65k colors.